Angel Cards, also known as Oracle Cards, are a beautiful tool for receiving guidance on any question you may have. By tapping into your energy, I intuitively select cards that deliver messages intended to provide you clarity and confirmation as you move forward with your decisions. I offer personalized Year Ahead and Six Month Card Readings. 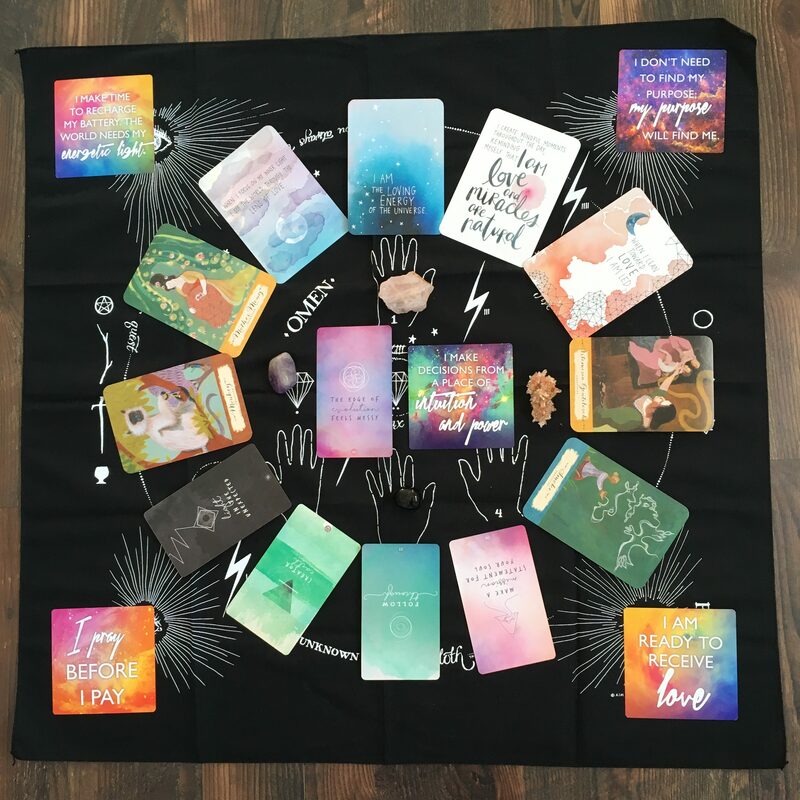 With each reading, I will personally connect with your energy, angels and guides. I will intuitively select your cards and channel the messages that are desiring to come through. I will document your reading and compile it into a PDF that is yours to keep and refer to as often as you’d like. This unique document also has space for you to write down your desires, reflections and refinements for each month, serving as a beautiful testament of your journey. Each month, you’ll be able to revisit your card, message, and use the PDF as a journal. To reserve your spot and select your reading type, please click on the button below. Choose your reading type and select the date/time that best fits your needs. Upon receiving your order, I will prepare your reading on the date and time selected and send it to the e-mail provided as soon as it’s complete. If you would like it delivered to a different e-mail, please let me know! On the date/time of your reading, you may want to take a few deep breaths and connect to your heart. While it is not necessary, it is a beautiful way to send good energy to me as I conduct your ceremony. Remember, there is no 1:1 component to these readings. You do not have to be available on the date/time you select for me to do your reading. If you desire a different type of customized, personal reading, please reach out to gabriela@thenewfirm.co. I’m happy to create a reading to suit your needs!